Finding a rental home is a time consuming and challenging task. However, by searching for a rental home online, the experience can be made easier and hassle free. You can easily search for a home based on features, price, geological location and amenities. The rental home listings have details about the property, images and diagrams of the floor plans, which assist in narrowing down your search. Set a budget: Most of the listings sort out the properties based on the rent prices. Thus, deciding a budget can help you find a rental home quickly. You should consider other expenses involved such as parking, furniture, furnishings, maintenance etc. Assess your needs: Before you begin your search you should decide on the type of house you need, locality, amenities, neighborhood, proximity to school, office, mall, transportation facilities etc. Having set priorities will help you narrow down your search online. Filter the search: To find an appropriate rental home you can filter the search based on your preference. Check the images: The listings should provide quality images of both exterior as well as interior areas of the properties. Images clicked from various angles can provide better insight of the rental property. Check availability: As most prospective tenants search for the rental properties online, can be booked quickly. You should contact the property owner to verify the availability of the house and if it is still on the market, you can book an appointment to inspect the house. Check application fee: While applying for a rental home online, you should inquire about any application charges or fees involved. Pick a reliable website: Make sure you choose a website that has an extensive database and a number of search options. The website must offer updated status and include new properties regularly. We, at Lone Star Realty & Property Management, Inc., can help you find the perfect rental home online. For more information, you can call us at (254) 699 – 7003 or visit our office at 1020 W Jasper Dr, Killeen, TX 76542. Picking up the most suitable housing option can be exciting yet confusing at the same time. Whether you are a first timer or a repeat buyer, it is important that you feel contented with your decision and live peacefully in the home that you have bought. You should give a careful consideration to the pros and cons of each of the options before making the final choice. Location: The location of the house should be your foremost consideration during the search process. Decide whether you are looking to live in a quiet surrounding in the suburbs or amidst the hustle and bustle of the city. Take a stroll around the locality and see if it is suitable according to your lifestyle and needs. Families having children should make sure that the home has a playground or recreational facility nearby. Education: You should also contemplate upon the educational facilities available in and near the area. Check if the house has an adjacent school or college and if it meets your quality standards. You must also evaluate the distance and traveling time to the school from your house. Neighbors: During your visit to the house, you can try and talk to the neighbors about the previous owners or the locality. This way, you will also get to know them and have an idea if they are friendly or like to stay withdrawn. Crime Rate: Before deciding to buy a house, it is critical that you verify the crime rate in the area. The local police department can easily provide this data. You should also determine if the locality meets the necessary safety standards, night lighting and security alarms to combat the criminal activities. Commuting Distances: You must also think through the commuting distance to work, school, shopping mall and grocery store while choosing a housing option. Real Estate Trends: The real estate market of the area should also be an important deciding factor. You must ascertain that the house you are going to buy has a good resale value and is situated in a location preferred by most buyers. 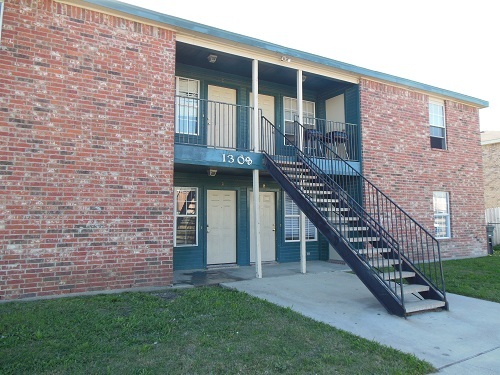 We, at Lone Star Realty & Property Management, Inc., provide affordable and quality housing options in Fort Hood, TX. For more information, you can call us at (254) 699 – 7003.